To develop pupils’ creativity and imagination, as well as to stretch their musicality and foster music appreciation. Our curriculum is a six-year program that instils a gradual advancement in difficulty levels of musical knowledge, from basic music theory, vocal music training, electronic music, world music, music making, music history, collaborative performances to instruments learning, etc. 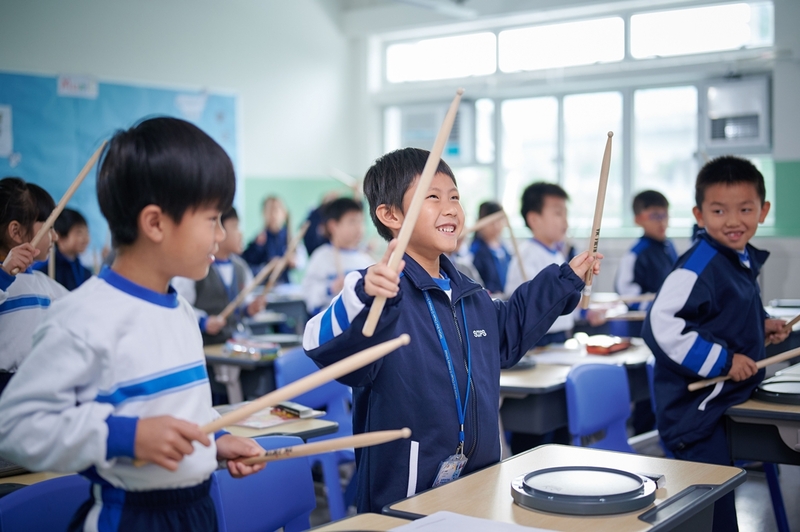 This approach serves as a way to increase pupil’s musical exposure as well as opportunities to express musically. Hence, pupils could enjoy music and pursue it as a life-long passion. Apart from the theoretical lessons, we value application of theories. 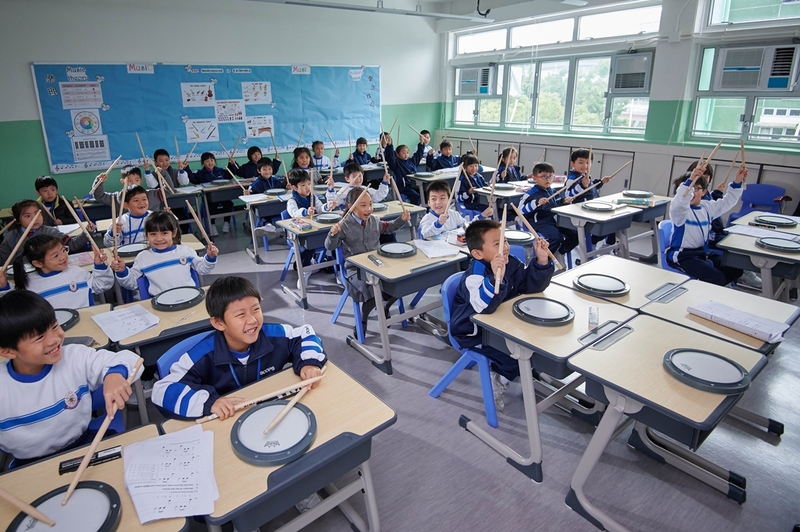 Thus, our school implements ‘In-class Experts’ courses, in which professional instructors are invited to give Ukulele and drum pads lessons. Extracurricular activities such as instruments lessons and music band training are also provided for pupils to enroll, so as to train up their musical skillsets of instrumental performance, cooperation and musical appreciation.